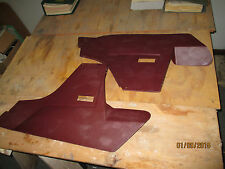 Alfa Romeo Spider Quadrifoglio Shifter Console Series 3 83-90 OEM Ripped Boot This is a used item with normal wear. Click here to view full details and picture. Confirm fitment with your dealer or mechanic. Center Console Warning Light Grab Bag. if you are looking for a specific part, we will be happy to list that item for you. Removed from my '72 Spider. Price includes both panels/hardware. Sold as is. Model: ALFA 4C. Front Console. Part Grade Abbreviations. cc = Credit Card size units. C = Greater than 200k miles. B = Greater than 60k miles and less than or equal to 200k miles but greater than 15k miles per year. · Condition: Up for sale is this OEM Hood Release removed from a 87 Spider model in good used condition considering its age. ALFA ROMEO LATER SPIDER LOWER CONSOLE . Condition is Used. Shipped with USPS Parcel Select Ground. Alfa Romeo Spider Quadrifoglio Cigarette Lighter Series 3 83-90 OEM This is a used item with normal wear. Click here to view full details and picture. Confirm fitment with your dealer or mechanic. Center Console Panel Cushion. Goes behind the center console panel to reduce noise. We have many parts for many different cars. 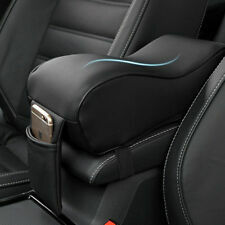 Protect the original cover of the car armrest and decorate your car to look elegant with high-end sense. 1 Car Armrest Pad. Material: Cotton & PU. Color: Black. Size: 30 15 10cm. Perfect fit and easy installation with high elasticity elastic band. Alfa Romeo Giulietta Spider 1957 Tachometer world wide shipping available. 7000 rev counter. off a 1957 spider. very nice condition but you may want to recondition the facia. I have many available including complete sets. Protect the original cover of the car armrest and decorate your car to look elegant with high-end sense. 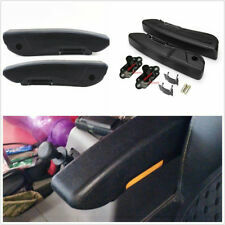 1 Car Armrest Pad. Function: prevent muscle paralysis. Size: 30 15 10cm. Color: Black. 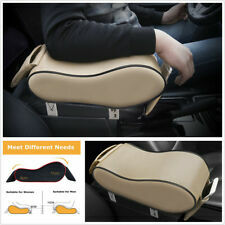 Car Armrest Storage Console Box Top Mat Liner Pad PU Leather Cover Cushion Brown. Universal for all kinds of car. Material: Leather, Sponge. Smooth surface, is a best gift for a car lover. 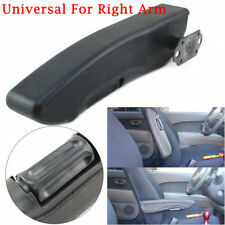 1 x Car Armrests Cover. (1) as this armrest is the General one ,that must need use the Screw to let the armrest fit in the original car's middle place. Material: PU leather. Blue Illumination Car Engine Start Push Button Switch Ignition Starter Touch Kit. (Brown Leather Texture Car SUV Interior Dashboard Film Vinyl Sticker For Cadillac. 1) as this armrest is the General one ,that must need use the Screw to let the armrest fit in the original car's middle place. This Tool Kit is Functional and barely used. Universal for all kinds of car. Material: PU Leather, Sponge. Smooth surface, is a best gift for a car lover. E-check will be held until cleared. It is easy and safe. Size: 30cm 21cm. Color: Black. We have warehouses in the USA, CA, and AU. 1.6m Sealing Strip Noise Insulation Soundproof Anti-dust Seal Auto Car Windshield Dashboard. -High quality material, performs well in waterproof, dustproof and soundproof. Application: the gap between dashboard and widshield should be LESS than 8mm (0.3"). 100% genuine products! We will try our best to reduce the risk of the custom duties. Fix the armrest mount to your seat by screw given. Fix the armrest to the parts from the outside, and fix the screw. Surface material: PU integral skin foam. 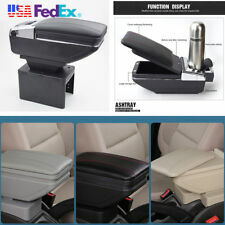 Application: Universal for vehicle seat. Big D-shape 157" 4M Rubber Hollow Adhesive Sealed Strip Weatherstrip Sealer TrimBig D-shape 157" 4M Rubber Hollow Adhesive Sealed Strip Weatherstrip Sealer Trim. 1x 4M CAR TRUCK Motor Door Rubber Seal Weather Strip. High quality material, performs well in waterproof, dustproof and soundproof. Application: the gap between dashboard and widshield should be LESS than 8mm (0.3"). Car Cleaning tools. Car Protection Sticker. Fix the armrest mount to your seat by screw given. Fix the armrest to the parts from the outside, and fix the screw. 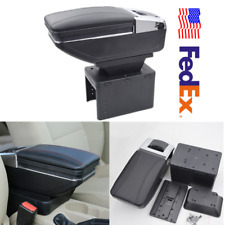 Application: Universal for vehicle seat. Type:Right Side. 1 x Car Armrest Pad. Color: Beige. Decorate car appearances, make your car particular and unique. If there is any delay,it maybe caused by bad weather or custom inspection.